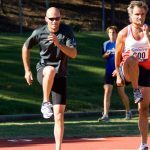 If only it was an easy matter of reading an article like “Sprinting 101 – All you need to know about sprinting”, there would be no need for Athletic Coaches, Personal Trainers or even Sports Teachers for that matter. Unfortunately, life isn’t that easy. We are all different and as much as some books might tell you so, there is no one hard and fast rule to make somebody run faster. Everyone is different and what might work perfectly for one person, might not work for someone else. 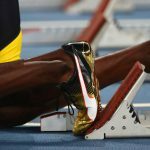 Over the first few sessions, we will examine your Fitness level, Acceleration and Running techniques and tailor an individual coaching session plan which will suit your exact needs. All session plans are phased to achieve the greatest gains at the exact time the athlete competes in a competition. Fast and Fit have over 20 years experience in National and International level sprint relay competition. Our relay coach currently holds multiple Australian Relay records. Correct relay change technique can easy change the outcome of a race. Time and time again, it is shown that the team with the fastest runners, does not always win, even at Olympic level. Middle distance running is an art of it’s own. An athlete has to be fast but also have endurance and strength. A major factor often overlooked is they also need a great mental attitude. We will instill a mental strength and willingness to do better than you ever thought possible. We provide HIIT Fitness Training to help get you into the shape you dream about. In our HIIT sessions we act as your personal PT to ensure you get the most out of the session and achieve the goals you want. As with our Sprint Coaching sessions, our HIIT sessions are also individually tailored to suit your exact needs. Its simply the best way to get our of that sweaty gym and into the fresh air. Lose weight, tone up, improve your cardio fitness or all of the above, whatever your goal is, Fast and Fit can get your there.